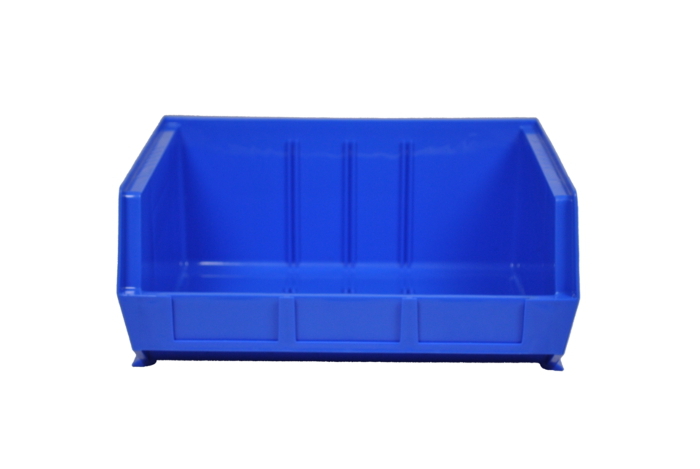 Large, heavy duty open fronted, stackable picking bin for small parts storage. Can be purchased in packs of 5 or single bins. 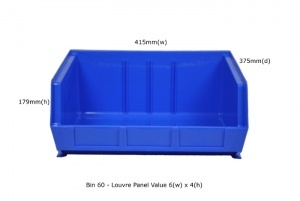 The Rhino Tuff Bin 60 is a heavy duty bin ideal for storing larger components and picking areas. 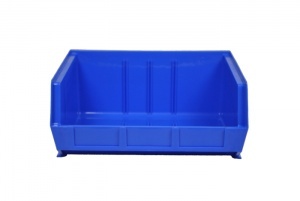 Manufactured from impact-resistant polypropylene copolymer plastic these wide open-fronted storage bins are shock-proof, impermeable to moisture and resistant to a wide range of chemicals, solvents and oils. 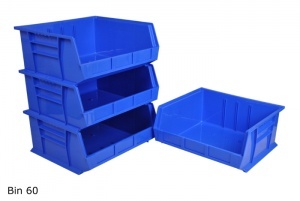 Fully compatible, with free-standing or wall mounted louvre panel systems, these bins can also be stacked vertically maximising shelving or work top space. An integral label holder allows for easy identification of the bin contents, with each bin supplied with a card label at no extra charge.